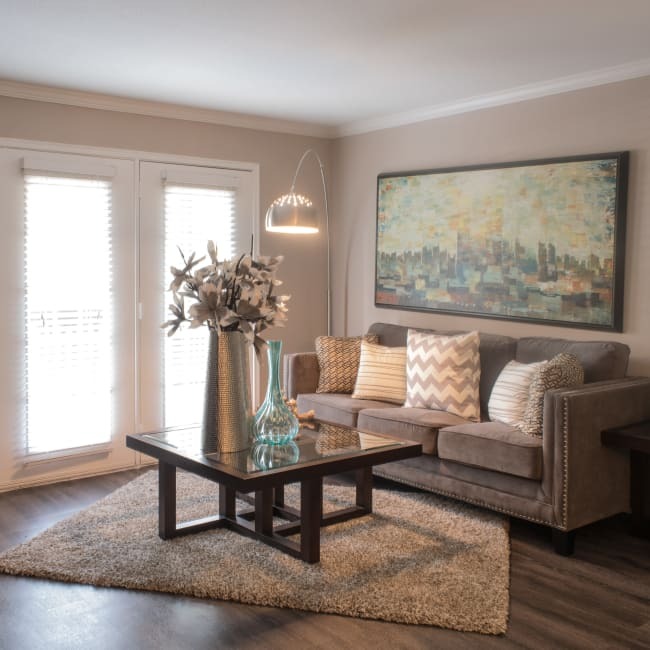 Whether you’ve selected a one or two bedroom apartment in the Westside neighborhood of Houston, Texas, you’ll know before you’ve unpacked a single box that your desire for luxuriously functional living is about to be indulged. Keeping your wardrobe organized is effortless with spacious walk-in closets, modern, wood-look plank flooring is easy to clean, and built-in shelving turns basic storage into an upscale style element. The easiest part of all? Relaxing with a glass of wine in your garden soaking tub. A typical day at Hayden at Enclave is anything but. Wake up with a high-octane drink in the clubhouse java bar, and then move on to an eye-opening workout in the spin studio of the well-equipped fitness center. If it’s a work-from-home day, you can easily print out reports in the business center and connect to the office in the WiFi lounge. After work, cool off in one of the three resort-inspired pools or join a game of beach volleyball on the well-maintained court. Contact our friendly staff and let them show you around Hayden at Enclave.